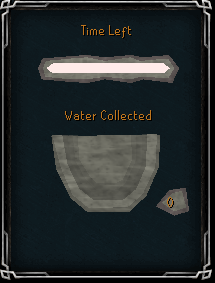 The Tears of Guthix Distraction and Diversion is a simple game in which you try and collect tears before the timer runs out. Remember, you must have already completed the Tears of Guthix Quest before being able to take part in this Distraction and Diversion. Firstly, you should know that you can only do this once a week. Not only this, but you must either earn 100,000 experience in total, or gain at least a quest point to be able to try this again. 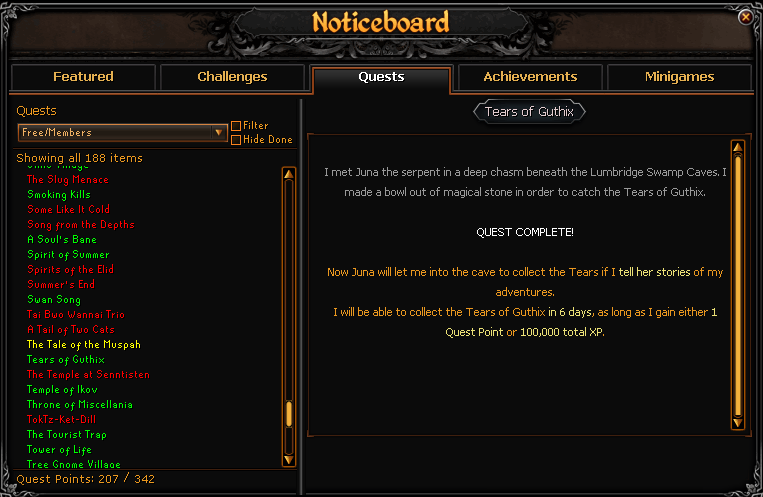 Your character may tell Juna stories, but if you haven't achieved another 100,000 experience or a quest point, you will be unable to enter. 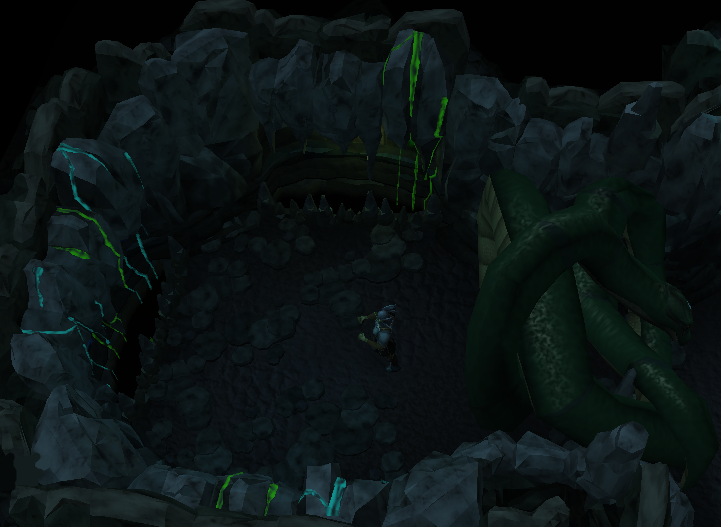 If you are unsure of whether or not you can partake in the Tears of Guthix D&D, you can check this by looking at the 'Tears of Guthix' quest in your Quest Journal, which will tell you if you have met the necessary requirements. On another note, the Tears of Guthix Distraction and Diversion gives experience towards your lowest skill. If you have multiple skills of the same level, you'll gain experience in the skill with the lowest experience total. A Candle, Lantern or Torch - for seeing in the dark cave. See the Crafting and Firemaking guides for instructions for making them. Spiny Helm - Optional, for protect from Wall Beasts. Teleport Runes -Optional, for a quick journey. You don't need your Stone Bowl, as Juna will keep it for you. The easiest and quickest way of getting to the Tears of Guthix is by using the Games Necklace , as it will teleport you directly to the game. If you choose this method, you do not need to have a spiny helmet or a light source with you as you do not need to traverse the dark caves. Alternatively, you may travel through the Lumbridge swamp caves however this method is time consuming and requires the above items. You should enter through the Lumbridge basement and head south past the frogs. There will be a cave in the southern half of this area; go inside and head east down a small hill. 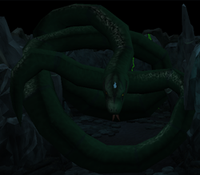 Once you find Juna the Serpent, speak to her and tell her a story. After you've told her a story, she will let you enter the game area. You must tell her a different story each time you wish to play, in order to go inside. In the cave, there are 2 different types of Tear Drops: blue, and green. These are the Tear Drops that you must collect during the game. These are the Tear Drops that you'll want to avoid while playing. Collecting them will decrease your Tear Drop count. From time to time the Tear Drop areas will change places, and it appears to be random. When you first start, your Tear Bowl will look like the one below. The amount of experience per tear varies based on the level of the skill. If you have both 80 Crafting and 80 Mining, you will be able to make an Ornate Bowl (which can give up to 5 times more experience than the regular Stone Bowl). Talk to Juna and she will tell you how to make an Ornate Bowl. Then, use a Sapphire Lantern on a Light Creature to cross the chasm, mine a Larger Rock and craft it into an Ornate Bowl. 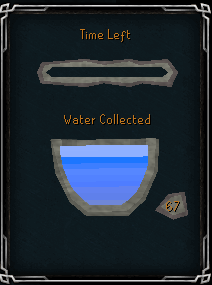 Once you have done that, Juna will take the bowl and you will be able to use it every time you enter the Tears of Guthix.